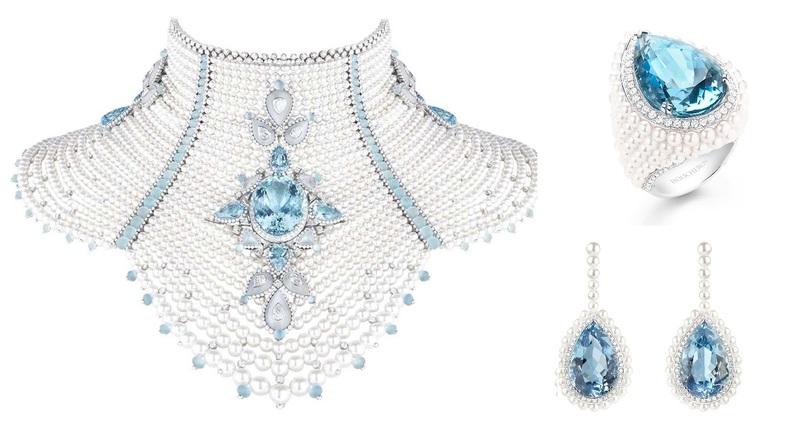 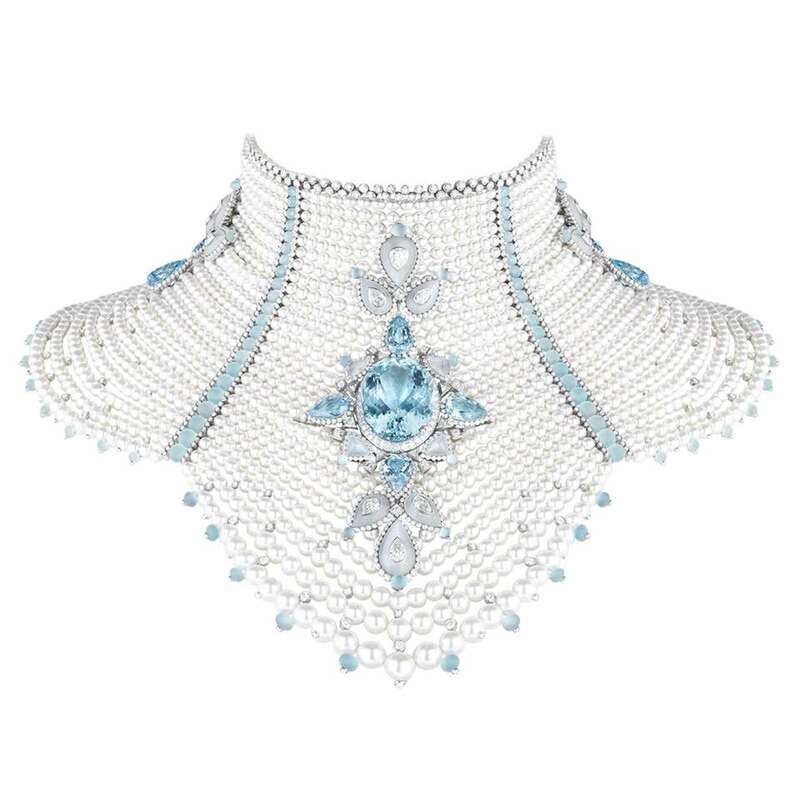 BAÏKAL Necklace set with a 78,33 ct Santa Maria oval aquamarine, moonstones and cultured pearls, paved with diamonds and aquamarines, on white gold. 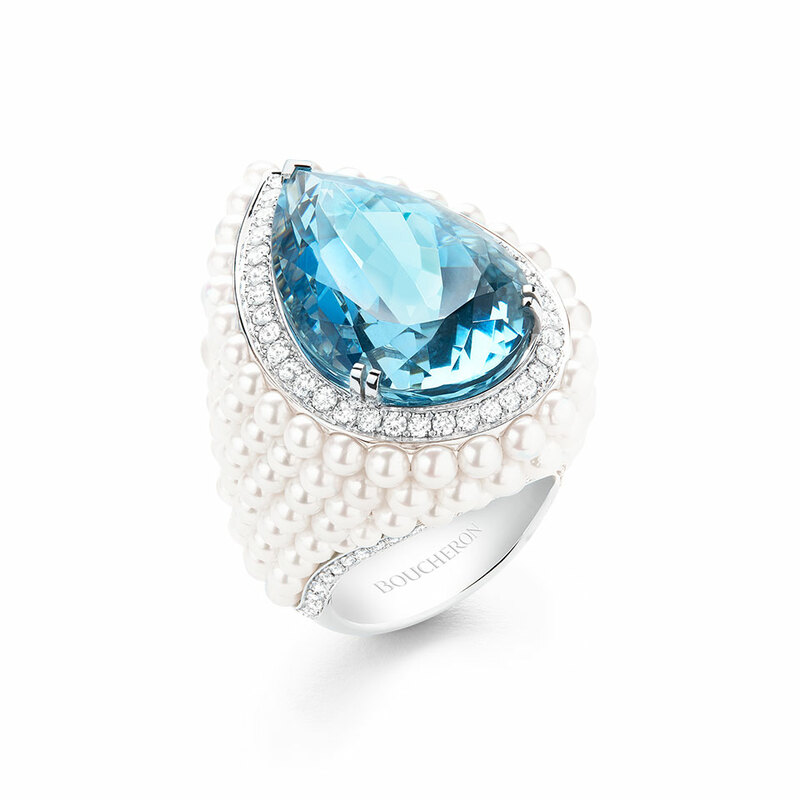 BAÏKAL Ring set with a 24,87 ct Santa Maria pear aquamarine and cultured pearls, paved with diamonds, on white gold. 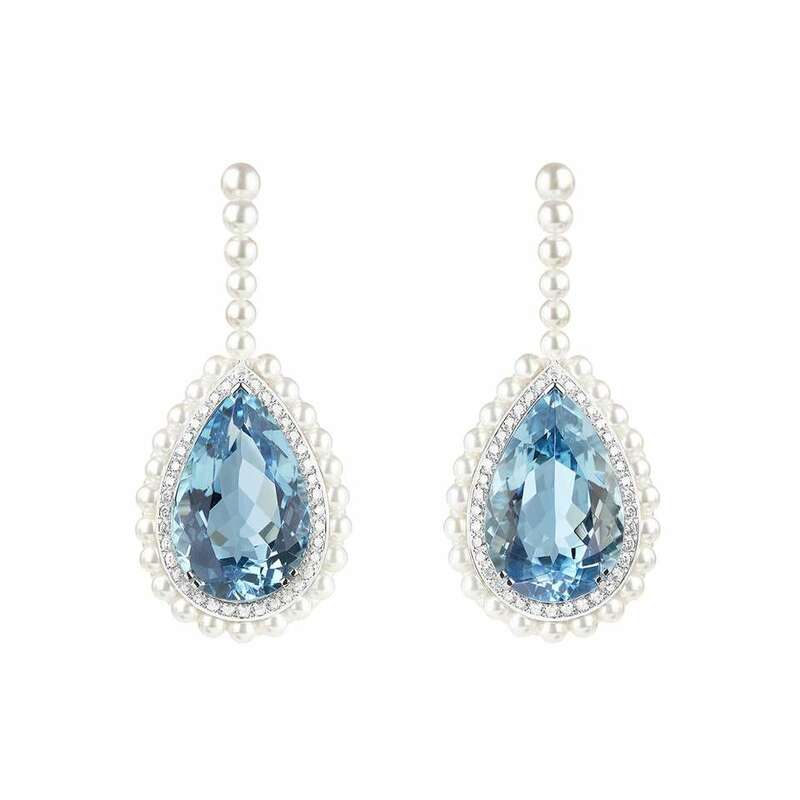 BAÏKAL Earrings set with one 12,08 ct Santa Maria pear aquamarine and one 11,74 ct Santa Maria pear aquamarine and cultured pearls, paved with diamonds, on white gold. 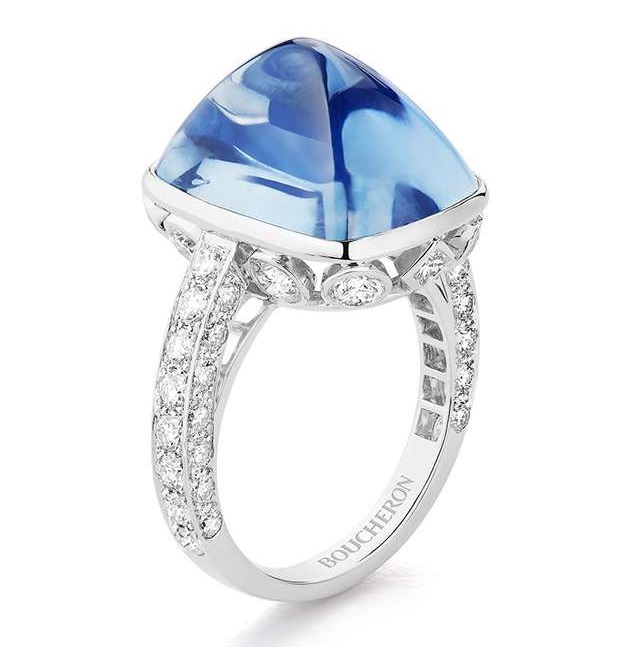 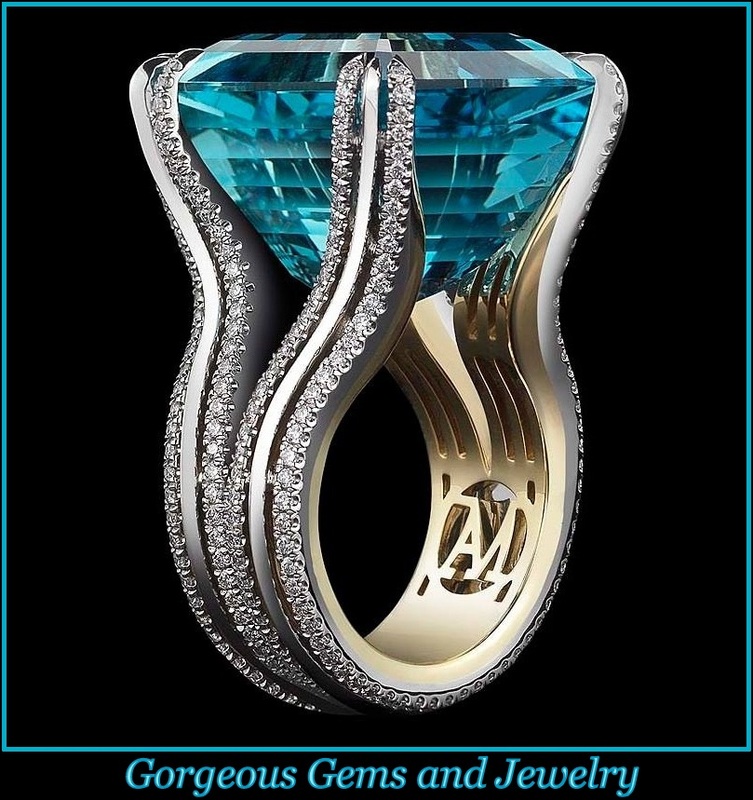 JOYA Ring set with a 19,92 ct Ceylon sugar-loaf cabochon sapphire and diamonds, paved with diamonds, on white gold.